I don’t know about you, but I see our craft’s influence in some of the most unexpected places. One example of this is what I recently witnessed at Arlington National Cemetery. Many of you may have also visited these hallowed grounds and witnessed the changing of the guard at the Tomb of the Unknowns. If you haven’t, I urge you to do so. It is a solemn and powerful ceremony. What’s Masonic about it you might ask? Allow me to attempt to answer this question. When a candidate is first brought into the lodge, it is the duty of the Stewards and Junior Deacon to insure that he is duly and truly prepared. The candidate is dressed in a particular manner in order to be presented to the lodge. Before the oncoming guard can go before the Tomb, they are inspected by the relief commander. 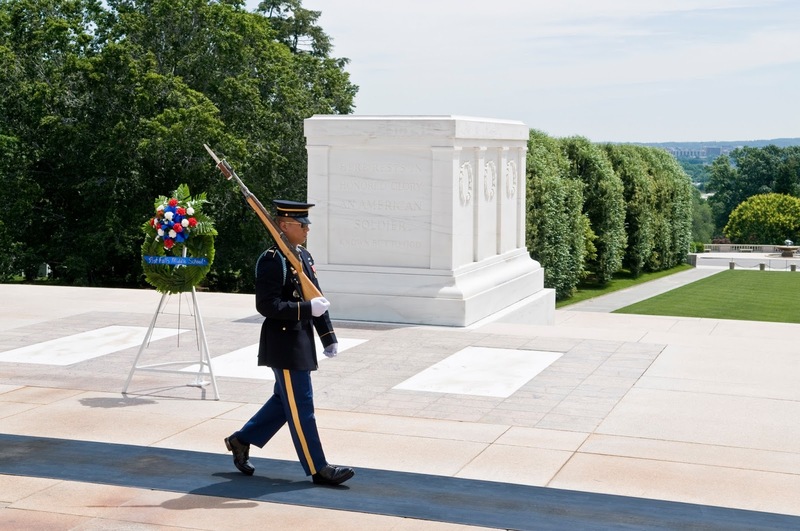 The relief commander insures that the oncoming guard is dressed in the manner becoming of the honor of guarding the Tomb of the Unknowns. Everything about their uniform must be perfect. Like the candidate, the oncoming guard must also be duly and truly prepared before preceding further. The candidate is escorted into the lodge by the Junior Deacon, received in due form and conducted around the lodge by the Senior Deacon. Eventually, the candidate is placed before the altar after taking a series of steps as instructed by the senior warden and assisted by the senior deacon. The oncoming guard is escorted to the mat by the relief commander. The relief commander performs the same series of steps lockstep with the oncoming guard, perfectly mirroring the current guard on duty, called the Sentinel. In front of the tomb, the relief commander orders the guard being relieved to "pass on your orders" to the oncoming guard. The guard being relieved will say to the oncoming guard, "Post and orders remain as directed." The oncoming guard's response is always, "Orders acknowledged." In front of the altar, the candidate is given specific instructions by the Worshipful Master, so that they might also be able to pass as a Mason with the assistance of the Senior Deacon. The oncoming guard then becomes the Sentinel, much like the candidate becomes a brother after taking their obligation and receiving orders from the Worshipful Master. Once the orders have been exchanged, and the oncoming guard becomes the current guard, the relief commander escorts the old guard from the area of the tomb. Once the brother fulfills the orders of the Worshipful Master to complete the first section of their first degree, they are escorted from the lodge again with the assistance of the Junior Deacon and the Stewards. 1. Marches 21 steps south down the black mat laid across the Tomb. 2. Turns and faces east, toward the Tomb, for 21 seconds. 3. Turns and faces north, changes weapon to outside shoulder, and waits 21 seconds. 4. Marches 21 steps down the mat. 5. Turns and faces east for 21 seconds. 6. Turns and faces south, changes weapon to outside shoulder, and waits 21 seconds. 7. Repeats the routine until the soldier is relieved of duty at the Changing of the Guard. As the guard moves in a particular order along the mat, the candidate is conducted around the lodge in a particular manner called Circumambulation. The act is performed in a clockwise manner, patterned after the movement of the sun as it is seen from the earth, moving from East to West, by way of the South. The candidate's journey around the altar also enables the brethren to observe that he is properly prepared, which I have discussed earlier. Twenty-one was chosen because it symbolizes the highest military honor that can be given – the 21-gun salute. We have 3 degrees which are steps. One way of interpreting the triple symbolism is seeing man as being divided into three parts – body, mind, and soul with a Degree for each part. 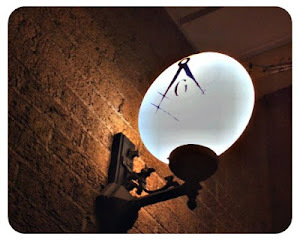 In the same way, the Three Great Lights of Masonry are the guiding principles of the three natures and the three degrees: the Square to the body, the Compass to the mind, and the Volume of Sacred Law for the soul. After each turn, the Guard executes a sharp "shoulder-arms" movement to place the weapon on the shoulder closest to the visitors to signify that the Guard stands between the Tomb and any possible threat. The Tyler takes due notice and tiles accordingly, guarding his brothers from any possible threat. The guard walking the mat at the tomb of the unknowns wear no rank insignia. This is done so that the guard does not outrank the unknowns, whatever their rank may have been. We as brothers also meet on the level. No one brother outranks another. There is yet a final allusion. The guard at the tomb of the unknowns strives for perfection. Every part of their uniform is perfectly maintained, every medal in a specific place, every movement precise. They do this in order to honor the sacrifice of the Unknown Soldiers. Are we as Masons also not striving for perfection? Are we not aspiring to transform ourselves from the rough ashlar to the perfect ashlar? We do this not only to honor our craft, but to honor God. He is the great unknown. We hope that we can be exemplars for God and our craft, as much as the guard hopes that he can be an exemplar for the Unknown Soldiers and their ultimate sacrifice. Have I convinced you? Maybe not, but I’ve hopefully made you think. It may just be a happy coincidence, but I’d like to think it’s more than that. I’d like to think that our craft influenced this powerful and solemn ceremony. I’d like to think that we helped honor the Unknowns in some little way, since they have paid the ultimate price for our freedom.